Kurulin Fusion is an hypnotic blend of color, geometry, puzzle action and a futuristic soundtrack featuring renowned Final Fantasy composer Nobuo Uematsu’s reimagining of J.S. Bach. The game is easy to grasp–Fusion Blocks and Energy Orbs annihilate each other if matching colors touch–but Arcade mode and Mission mode offer skill and strategy challenges if you hope to achieve super scores. The Fusion Blog page is filled with the latest news, interesting tid bits, links and information for Kurulin Fusion fans. The blog highlights are shown on the main page, but you can also click through to the Fusion Blog Archives to scan every post. Victoria Bach Festival, June 8-12. The eyes of Texas are upon the festival’s 35th anniversary season. Oregon Bach Festival, June 25-July 11. Lots of J.S, of course, but Verdi, Chopin and Beethoven get play, too. Carmel Bach Festival, July 17-31. California seaside town famous for former mayor Clint Eastwood goes Baroque. White Mountain Musical Arts Bach Festival, August 22, 27-29. Pretty mountain village is magnet to Bostonians seeking to beat the heat and get a little cantata action. If you’re headed to the master’s old stomping grounds, it might seem that Germany has more Bach bashes than soccer clubs. Not quite, perhaps, but performances of his works still attract thousands every year from all over the world. 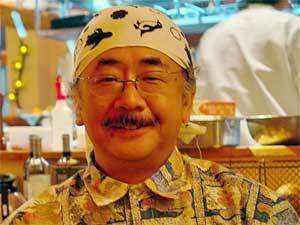 (Japan has many Bach fans, most notably, of course, Kurulin Fusion composer Nobuo Uematsu.) 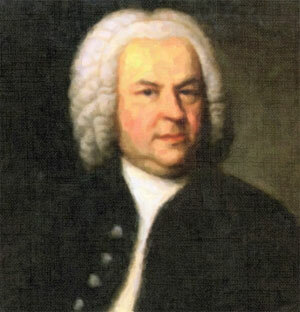 Germany’s most famous Bach festival is in Leipzig, where Bach spent the last 17 years of his illustrious life. This year, the Bachfest Leipzeg runs June 11-20. And don’t forget to take your PSP with Kurulin Fusion. It’s a great way to while away those long hours traveling. I can sit down to play a quick game for the review and suddenly 15 even 30 minutes have gone by. Be sure to check out the full review on Kurulin Fusion and visit the other review links to see what the pros are saying. Released today, Feb. 11, in Europe and all other SCEE territories. You can get it at the SCEE PlayStation Network for the equivalent price of US $4.99 — less than the price of a cappuccino and biscotti in Rome. 1. Try to build 3×3 Fusion Blocks, as these will clear all like-colored Energy Orbs. Tip: Try to build 3x3s of different colors on opposite sides of the screen. And use your holding bin. 2. Pile big, continuous groups of like-colored orbs as high as you can. “Continuous” is the key word here. Leave an easy place to drop a Fusion Block. This is a good way to unleash unexpected chains and combos. Don’t get cute. Keep your stacks low. Towering columns leave you extremely vulnerable if your opponent raises your stack. 1. In 3-minute mode, you have time to build up elaborate combos and chains. 2. In 1-minute, move aggressively, as you have to make the most of what’s dealt you. Either way, you can squeeze out a few extra combos with astute use of your holding bin. Have fun! 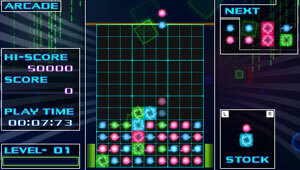 Fusion Blocks--The square Fusion Blocks trigger "clearing" events and can be combined to form 3x3 structures for super combo scores. Energy Orbs--Arrange like-colored Energy Orbs so that a single clearing event will create a chain of extra clearing events and combos. Combos--Fusion Blocks of the same color "fuse" together when they touch. When cleared, fused blocks generate top scores. Chains--When Energy Orbs are cleared, the Fusion Blocks and Energy Orbs of different colors stacked above them will shift downward, and they may create a "chain effect" of new clearing events and extra scoring. Nobuo Uematsu has become one of the most famous music composer in the video game industry largely due to his emotionally-moving scores for many titles in the popular Final Fantasy series from Square-Enix. Inspired by pop legend Elton John as a boy, Nobuo taught himself to play piano. But during his college years at Kanagawa University he learned that his true passion was to write music. He joined Squaresoft (later Square- Enix) in 1986, where he composed music for many of the Final Fantasy series games as well as other Square-Enix titles, such as Chrono Trigger. He has worked on music for more than 40 video games, where his versatility is reflected in styles ranging from classical to techno-elctronica and jazz. Although Uematsu-san left Square-Enix in 2004 to found his own company--Smile Please, along with a recording company, Dog Ear Records--he has continued to work with Square-Enix on Final Fantasy projects. He has also been involved with a series of symphonic concert performances all over the world featuring his music. The highly prolific Johann Sebastian Bach (1685-1750) composed dozens of works for chorus, orchestra and keyboards, but in his lifetime was most famous as an organist. He spent his entire life in Germany, never traveling abroad. Such was his dedication to his craft that when he was 20, he left his duties as a church organist in Arnstand and walked 250 miles to study under Dieterich Buxtehude, considered Germany’s master organist of the era. Famous keyboard compositions by Bach include The Well-Tempered Clavier and the Goldberg Variations, which Nobuo Uematsu has re-imagined for Kurulin Fusion. His most famous orchestral work is the Brandenburg concertos. His vocal and choral works include the Christmas Oratorio, the Easter Oratorio and two Magnificats. Bach was pretty prolific as a father too. Between his two wives--Maria and Anna--he had 20 children. Five of his sons became prominent musicians. Single tracks can be purchased for just $.99 U.S. The entire soundtrack is available for just $5.99 U.S.
©2010 MTO Inc. All rights reserved. KURULIN FUSION is a trademark of MTO Inc. registered or protected in the US or other countries. \"PlayStation\", \"PS\" Family logo and \"PSP\" are registered trademarks of Sony Computer Entertainment Inc. The PlayStation Network logo is a service mark of Sony Computer Entertainment Inc. All other marks and trademarks are the property of their respective owners.